While the Hot cross runners were busy this afternoon, the rest of the class were learning about flowers and plants. They were able to dissect some flowers in pairs enabling them to truly see what makes up a flower and how the functions work. Some very keen investigators are in year 3! A huge well done to all the year 3's that took part in the Easter reflection. The effort and hard work they put in was clear to see. I felt very proud of all of the children, and I hope they felt proud of themselves also. Bravo! It has been a fun week this week. The children were able to help prepare and then eat some delicious pancakes on Shrove Tuesday thanks to the help of the PTA. Some children showed great skills when flipping the pancakes! Aspiring chefs or talented jugglers may be in our midst! 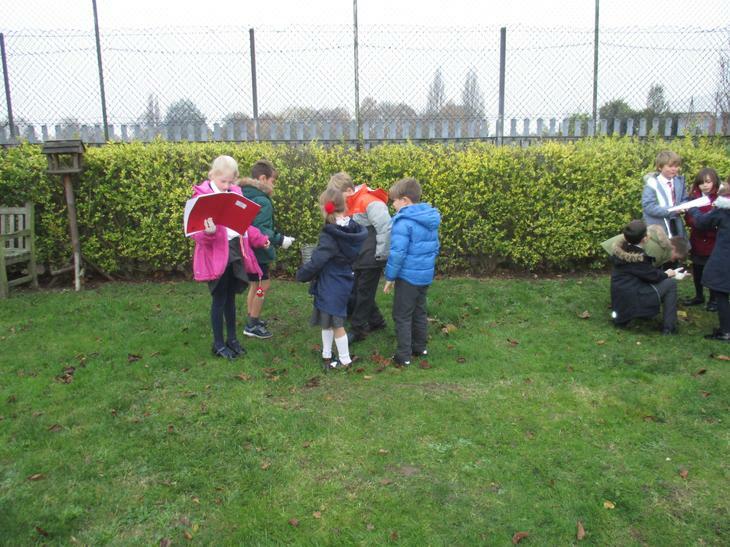 We had fun, in the wind, with our outdoor maths lesson followed by a team quiz, and we have started to prepare for both our assembly next week and the Easter production. The children have two songs that they have taken home to learn. Yesterday we were joined by Fr Brett for a class celebration mass. The theme was 'Journeys' our current RE topic and we spent time reflecting on our learning, thinking about our lives as a journey and how we are part of a Christian Journey. It was so lovely to be joined by so many of our families for this special occasion. On Tuesday, we enjoyed celebrating Chinese new year by baking fortune cookies. We carefully measured out the ingredients and also learnt some new skills including separating an egg white from an egg yolk. Please ensure the children ALL have with them a suitable P.E. jumper and track bottoms. It is getting very cold now and we will still be doing outside P.E. this term every Wednesday and Thursday. We have had lots of fun today doing practical science. We made, the much anticipated, Mini compost bins! 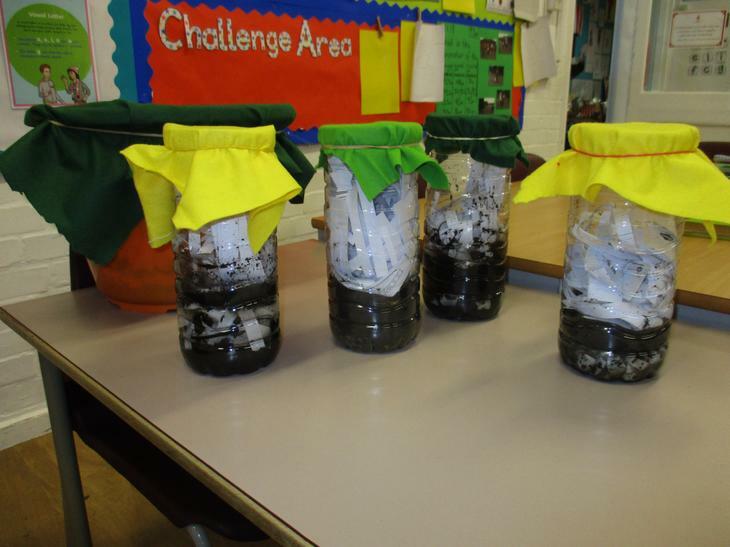 We used different rocks, soils and other materials, managing to convince some worms to come out of the ground. The children had a lot of fun, albeit slightly muddy. In line with 'Walk to School' day, we incorporated some fitness into our Maths lesson. The children were placed into teams and had to race each other to solve subtraction calculations. The class demonstrated fantastic team work skills, supporting each other as well as demonstrating their knowledge of our current mental maths topic. We have had a great day at Chelmsford museum, learning about the Stone Age. The children participated in four workshops throughout the day and definitely learnt some interesting facts about the lives of people at this time. One activity involved mixing natural colours to create paint and then using them to create cave paintings with sticks as brushes. Another activity soap knapping, where the children simulated carving soap into spears or flint shapes. 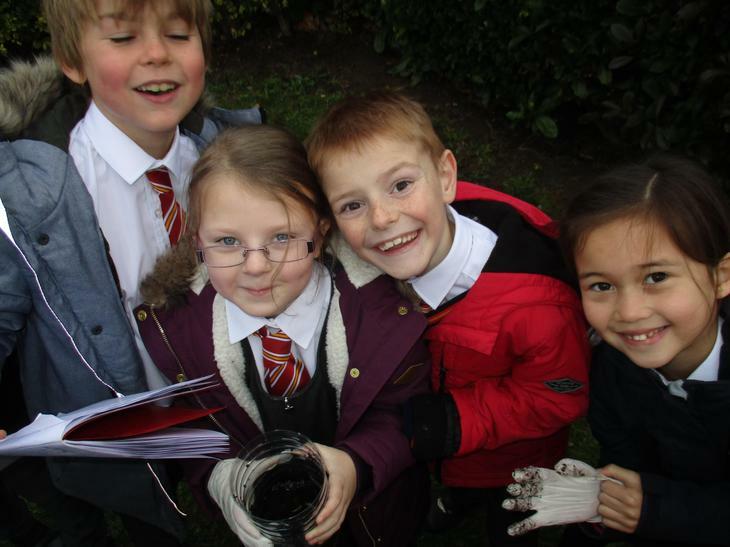 We hope you enjoy looking at the photos of our exciting activities!